LAHORE: For the remaining eight months of the fiscal year 2018-19, Punjab government on Tuesday presented a budget in Punjab Assembly with a total outlay of Rs2026.51 billion amid the opposition’s protest against former Punjab chief minister Shehbaz Sharif’s arrest. The budget that is being termed as populist by the government, comes two days after the ruling Pakistan Tehreek-e-Insaf (PTI) lost most seats in Punjab by-polls to the Pakistan Muslim League-Nawaz (PML-N). Also, the PTI is taking preemptive measures to mitigate the potential effects of the International Monetary Fund’s (IMF) bailout package. Delivering his budget speech, Punjab Finance Minister Hashim Jawan Bakht said that the PTI led Punjab government had formed its 100-day agenda and it would prove as a roadmap towards a progressive and prosperous Punjab. “Flawed planning of the previous PML-N government resulted in huge losses to the provincial exchequer,” he said and added that PML-N left nothing but the option of seeking loans for the incumbent government in order to run the affairs of the province and the country at large. “An estimated Rs1,652 billion have been allocated for general revenue receipts and Punjab is expecting an income worth Rs1,276 billion from the federal divisible pool,” Bakht said and added that there was an estimate of Rs376 billion in provincial revenue while the current expenditures estimated for the ongoing fiscal year were worth Rs1,264 billion. According to the details of the budget, Rs238 billion have been allocated for developmental projects, Rs373 billion for education, Rs500 million for pre-primary schooling, Rs50 million for technical training and education and Rs1 billion for the provision of scholarships to talented and deserving students. The government will allocate Rs284 billion to the health department while eight per cent of the amount will be allocated for developmental programmes. A cardiology centre and a children’s hospital in Balochistan will also be financed by the Punjab government. Rs50.5 billion have been allocated for the supply of clean water and proper sewage disposal system in Punjab. A sum of Rs4 billion will be spent on the Quaid-e-Azam Industrial Estate in Faisalabad. For the welfare of farmers, a budget of Rs15 billion under the government’s kisaan package has been announced while they will also be provided interest-free loans. For the Punjab irrigation department, a budget of Rs19.5 billion has been proposed. For total infrastructural development in Punjab, a sum of Rs149 billion will be allocated; the road sector will receive Rs68 billion, and transport will be given Rs35.5 billion. Additionally, Rs33 billion will be apportioned for the Orange Line Metro Train (OLMT) project and Rs5 billion for the development of rural roads. It was further announced that for the prime minister’s Clean and Green initiative, a sum of Rs6.3 billion will be allocated. The finance minister said that despite the hard economic situation in the country, the budget was made to benefit the common man. He also said that it would prove helpful in the provision of relief to the people of the province. “Budget is the reflection of PTI’s manifesto and will assist in making the province prosperous and strong,” he added. Separately, Punjab Minister for Revenue Malik Muhammed Anwer said that no new tax was being imposed in the current financial budget of the provincial government and Rs376 billion were estimated in the form of revenue. 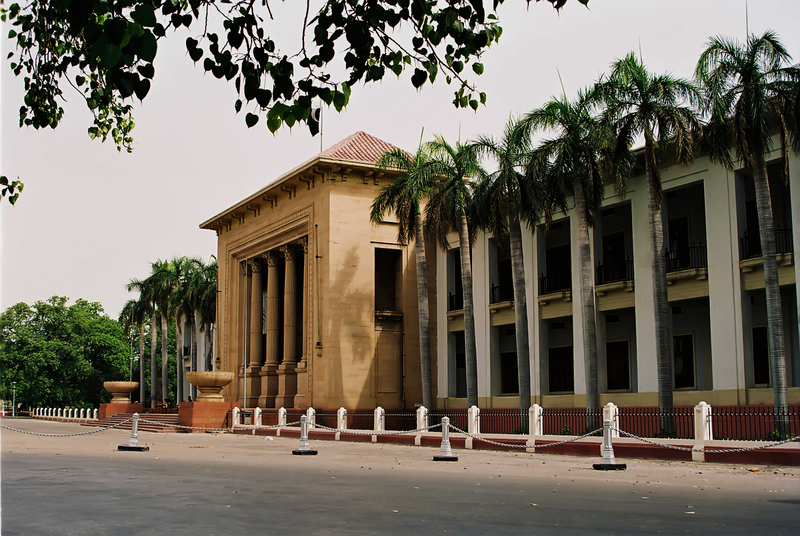 Speaking to media persons at the Punjab Assembly, Malik Muhammed Anwer said that an e-procurement system was going to be installed to ensure full transparency at the government level. “Further reforms will be introduced in the Punjab Revenue Authority,” he added. The provincial minister said that Rs276 billion were expected in the form of tax while Rs100 billion in the form of non-tax revenue. He also hoped that the current budget would further strengthen the 100-day plan of the PTI-led government. Earlier, as the budget session of the provincial assembly continued, slogans were raised by the PML-N-led opposition against the arrest of party president and former Punjab chief minister Shehbaz Sharif’s arrest by the National Accountancy Bureau (NAB). PML-N leaders said that the people who “looted millions” had become senior ministers in the PTI government. They also attempted to attack Speaker Chaudhry Pervaiz Elahi as well as the Punjab Assembly secretary. Inappropriate remarks were also made against Prime Minister Imran Khan’s sister Aleema Khan. The opposition’s behaviour was condemned by Punjab Information and Cultural Affairs Minister Fayyazul Hassan Chohan. Speaking to media representatives, he slammed the opposition members for their unruly behaviour and said that opposition’s undemocratic act had brought democracy into disrepute, adding that Opposition Leader Hamza Shehbaz patronised “rowdyism” in the house. To a question, the information minister told the opposition to mend its ways and added that it was unbecoming of the opposition to drag PM Khan’s sister into politics. “Those who looted national wealth would have to face the consequences,” he said. It merits a mention here that the budget session of the provincial assembly came days after PML-N staged a protest outside the parliament against the house’s failure to summon a session over Shehbaz’s arrest. Following the announcement of the protest, the main gate of the provincial assembly was blocked off with barbed wires and heavy contingents of police were deployed, who foiled the attempts made by PML-N MPAs and workers to enter the Punjab Assembly premises by scaling walls. In a statement after the protest, the provincial information minister had clarified that much before the requisition of the opposition, the government had already summoned a budget session on October 16 and according to law, a second requisition could not have been entertained. 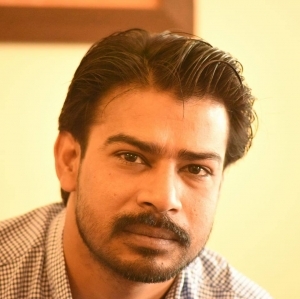 Samiullah Randhawa is a staff reporter. He can be reached at: [email protected]; Twitter: sami_randhawa.